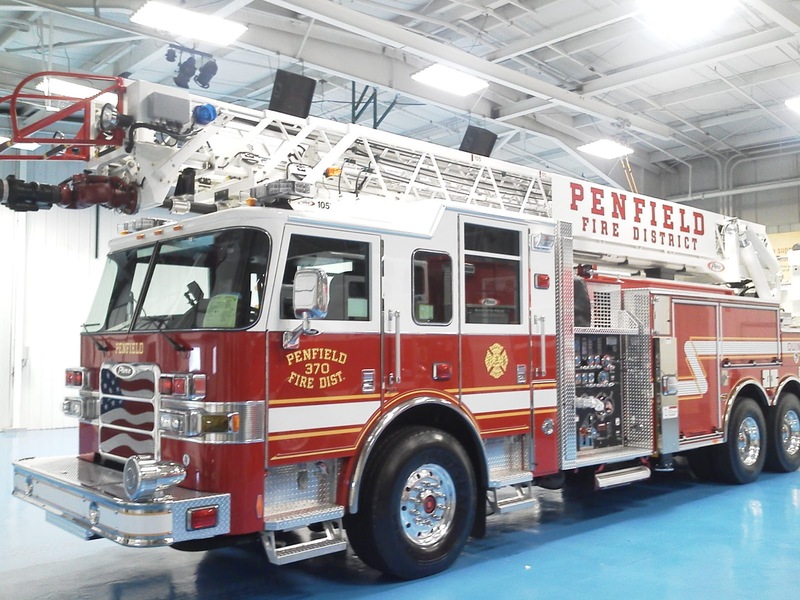 The Penfield Fire District recently placed a new ladder truck into service for fire and rescue operations. A Pierce 105' Ladder Truck was placed into service at station 2 replacing the 2003 American LaFrance 75' Ladder. The new truck has an improved gallon per minute water pump, more compartment space, a longer aerial ladder, and more hose for firefighting. It also has a 10K watt generator along with a small set of "jaws" for car accidents. A new feature that wasn't available on the other truck that was replaced is it that the ladder has eye hooks at the tip for lifting patients in stokes baskets, a handy feature that has already proven its worth. The compartment space has been utilized so that there is still room to grow. The truck that was replaced was so over crammed with equipment that items would fall out when the doors were opened. Crews have been training on the truck since it arrived from the Pierce Plant back in December. Luckily the commission who designs the trucks builds each truck so identical that it makes it easy for the volunteer to cross train between the vehicles. The first run the truck went on was a fill in to West Webster station 1 on Christmas Night from Midnight to 6am. This was in lieu of the tragic incident that had happen earlier that morning. 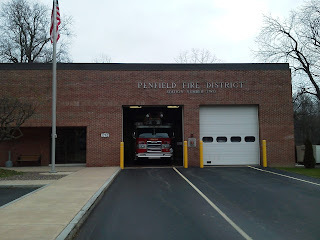 Since then the truck was placed in service at station 1 for a few weeks in January and then moved to its permanent position at station 2 on February 1st. The truck is the 30th truck that the district has ever owned since 1929.